RICAGV will begin meeting at 2pm in the Senate Gallery on the third floor of the State House. PLEASE, even if you do not plan on testifying come support our bills, sign in, and wear orange at the State House. To sign in, you may either sign in to testify or simply sign in in support of bills. You will ask the clerk for these sign in sheets (after we meet in the gallery). Last month, at the Senate hearing there was an overwhelming amount of NRA supporters. 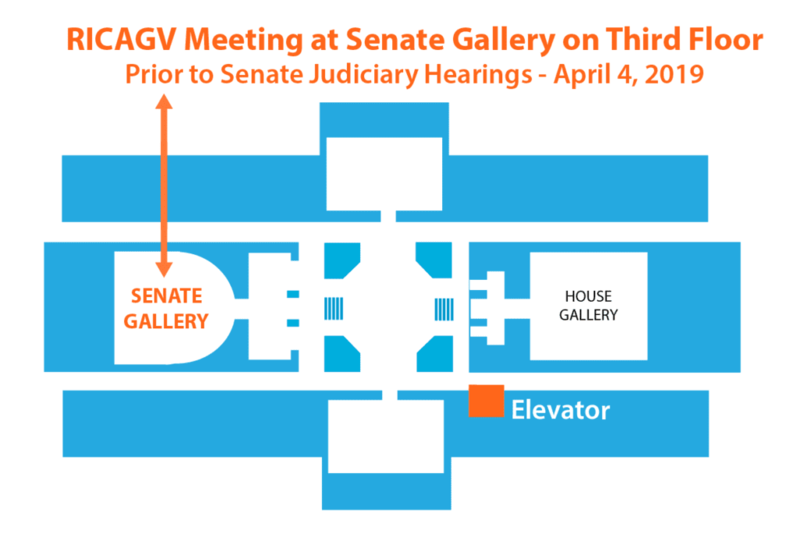 We will meet at 2:00PM, but the hearing will likely go on for many hours so come for the beginning, come late, come for as long or as little as you can. If you come late you will likely join us in an overflow room (the location of which we will notify you of via Facebook). Parking in the mall for the first 2 hours is free. And $2 for up to 5 hours. If you come after 5PM you may park in the lot across the street from the State House in the Department of Transportation Employee Parking Lot. Street parking will be available, especially if you come early in the areas surrounding the Train Station and the State House. Remember, you only have to pay for parking until 5PM.